Audrey Scagnelli is a professional communications strategist and advocate for those living with dementia. 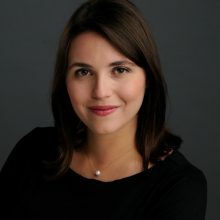 She served as National Press Secretary for the 2016 Republican National Convention, after which she purposefully stepped back from the chaos to earn an MBA at Babson College. Scagnelli previously managed regional press for the New Day for America PAC, which supported Governor John Kasich, and before that, for the CARLY for America PAC, which supported Carly Fiorina. She also served as Press Secretary to House Republican Conference Chair Cathy McMorris Rodgers. This fall, Scagnelli will launch Sanity Media, an outlet designed for centrist Americans resisting the urge to stick their heads in the sand post-2016. She is also working to leverage the power of mass customization to help individuals with Alzheimer’s and other types of dementia live with greater dignity.